Today we are happy to reveal the covers for Josette Reuel and S.E Issac . What happens when you're selected to go on a paranormal singles cruise? 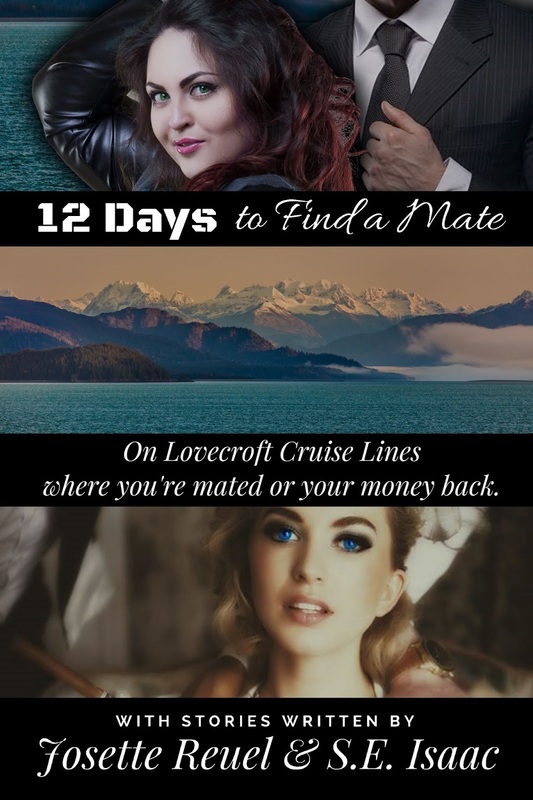 On, Lovecroft Cruise lines, you find your mate or your money back. And, our spunky cruise director, Vikki Lovecroft, has a perfect track record of connecting those that are meant to be together. However, even she may have met her match with these two couples. This collection of two steamy, humorous journeys include demons, fae, vampires, shifters, and ogres. Byron Langston became a vampire in 1634 after he died in battle at the hands of a vampire. A second vampire followed the first and gave him the "gift." Some gift. He had been forced to leave everyone he loved and to never see the sun again. Now, several centuries later, he was still completely alone and working as the nightly entertainment on a singles cruise for paranormal creatures. How much lower could his life drop? Never in his life would he have thought of himself as a vampire lounge singer. Coralee Sue Ellen Devereaux spent her life dreaming of seeing the world while her parents dreamed of having grandbabies. So, they compromised and she flew to Los Angeles from her home in Louisiana for a singles cruise to Alaska. She didn't make her momma any promises on bringing home a mate, but this gator girl wouldn't mind finding a male to warm her cold-blooded heart. 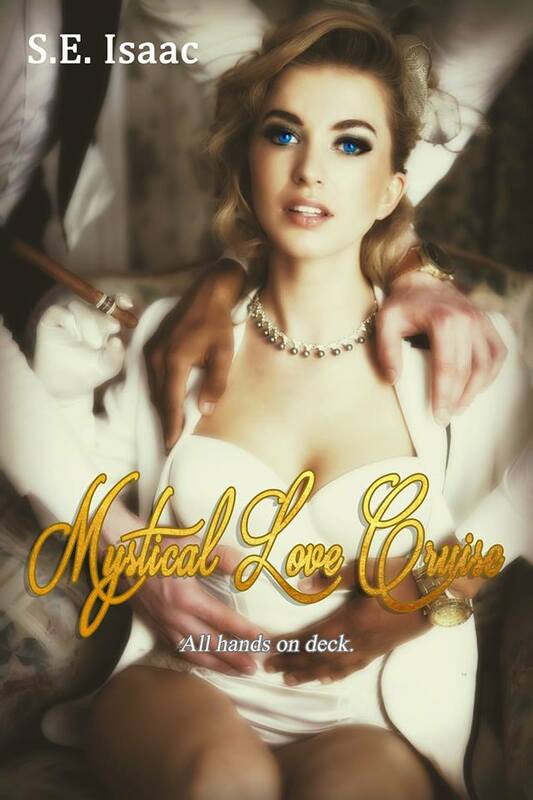 Samantha Moondove is hitting the ocean on a paranormal love cruise, thanks to her mother. Her mother who was always meddling in Samantha’s life. When her mom cornered her about the cruise, Samantha gave in. Not because she hopes to find love, she just wants to escape her mother for the next few days. Matt Boisseau is running from his demons. Literally. He isn’t fond of his friends’ idea of going on a paranormal love cruise; however, if it will get the demons off of his heels, he’s game. How much trouble can he get in? A world of trouble is given to Matt when he crosses paths with the beautiful, blonde mysterious woman, who wants nothing to do with him or his past. Can Matt change his old ways or will his ship sink? Josette Reuel is an internationally published indie author who enjoys creating stories for her readers, her way. She writes paranormal romance of varying degrees of heat and believes in LOVE in all of its forms. If you enjoy reading a love story, if you enjoy paranormal creatures, alpha males, and the heroes/heroines that change their lives, then you definitely want to give her books a try? S.E. Isaac is an indie author who has published several stories in a wide range of romance sub-categories. Her stories don't always want to stick to one genre or to the normal scheme. When reading her books, you definitely want to be prepared for anything - independent heroines, plot twists, and, of course, steamy romance.